This deal won't last for long so head over to BuyDig now and purchase these Toshiba laptops to avail of a $100 Off & Free Shipping too! You can get the Toshiba Satellite L745D-S4230 14" High Performance Notebook PC with Quad Core Processor for $489 and save $100 with the code BDCOMP5050. Click here for this laptop! 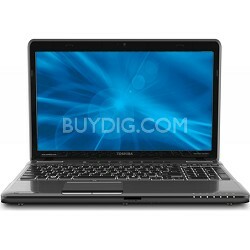 You may also get the Toshiba Satellite P755D-S5266 High Performance 15.6" Entertainment Notebook PC with Quad Core Processor with $100 discount at $569 with the code BDCOMP5050. Click here to get it now! Both deals are valid until 5/3 only so hurry and get them now! Spirit Line - Where the Spirit of America Lives! Spirit Line brings you the spirit of America! You can shop for fan gear, tableware, parade, cheerleading, tattoos, stadium items, and royalty products. If you purchase at least $99, you get a $5 discount. Use the code LSQ3RQ. Click here to shop at Spirit Line now! Checkout the clearance sale on Spirit Line too. You'll find Bags, Banners, Beads, Bracelets , Cheer Apparel, Cheer Gear, Cheerphones, Cheer Poms, Concession Supplies, Crowns, Decorations, Dog Tags, Drinkware, EyeBlacks™, Fan Apparel, Fan Buttons, Fan Poms, Flags, Foam Wavers, Glow, Hand Fans, Key Tags, Lanyards, Leis, License Plates, Magnets, Mascots, Megaphones, Noisemakers, Personalized Favors, Photo Standees, Sashes, Scepters, Seat Cushions, Sport Balls, Stadium Apparel, Static Decals, Stickers, Temporary Tattoos, Tiaras, Towels, Travel Mugs, Wall Decals, and Yard Signs. Click here to shop for any of these items! If you didn't know yet, Sittercity is the number one source of babysitters & nannies as well as household help. Sittercity was even recently featured in the Family Circle magazine through the article "Preparing Your Teen to Babysit." Being a member entitles you to post a job offer and browse through user profiles of potential sitters. If you're not a member yet, you can take advantage of this month's deal. You can save 20% off membership fees with the code TULIP20. This deal is valid until 5/31/2012. Click here to start looking for babysitters & nannies! ACLens.com brings you coupons for contact lenses and more! Save $5 off any order of over $50 with the code ACLS5. This offer is valid all the way until 12/31/2012. Click here to order contact lens now! You can also save 10% off prescription swimming goggles with the coupon code SWIM . It's free shipping for all orders of over $99 as well. This offer ends 5/31/2012. Click here to get your swimming goggles! It's free shipping on Designer Sunglasses too! Find Ray-Ban, DKNY, Polo, NCAA, Smith Optics, and so much more. Click here for Designer Sunglasses! ShopGetOrganized.com lets you shop and get discounts! Save $10 Off $100 with the code AFGO0212. Just use the code upon checkout to avail of the promo. This deal is valid until 5/31. Click here to to start shopping now! ShopGetOrganized.com is your perfect shop for all storage & organization products. You'll find storage equipments for the bathroom, bedroom, car, closet, clothes, garage, home office, jewelry, kitchen, laundry, media, outdoor, photo albums & frames, pill & medicine, purse & money, shelf, shoe, and more. Click here to find your storage solution! All deals are valid until 5/31. Just click on the links above to find out more about the discount or to start purchasing the items. Comp & Save lets you save for special days including Mother's Day and Memorial Day. Save 20% off any order for Mother's Day using the code MOMSDAY. This deal is valid from 5/8 - 5/14. For Memorial Day, you can save 25% off any order with the code MEMORIAL from 5/23- 5/29. Click here to check out these deals now! Click here for these deals! Are you buying blinds, curtains, and window treatments? Then buy them at Smith & Noble and save 15% off purchases of over $600 or 20% off purchases of more than $900. Just use the code 1204GH to avail of the discount. It's Free Shipping on all purchases of over $400 as well using the code 1204GJ. Click here to check out the collection now! The same discount and codes apply for kid's shades as well. Click here to check out the kid's collection! Sign up for PR Web today and get 10% off your first press release! This offer is valid only until 5/31. Click here to sign up now! If you didn't know yet, PR Web is an industry leader when it comes to news and press release distribution. If you're interested, the whole process is very easy. Signing up can be done in less than 60 seconds. With free online tools and tips available through the site, you can easily create your own press release material. When you're done, you can start sharing about your product or service to the world. Sign up today and get 10% off! Check out this week's specials from J&R! Save on various products in various categories including J&R Jr. for Kids, The new iPad Specialty Store, televisions, digital cameras, tablets, iPad & tablet accessories, MacBook, iPhone Specialty Store, hard drives, memory cards, PC notebooks, computer memory, printer ink & toner, printers, media streaming, graphics tablets, headphones, wireless speakers, guitars, digital photo frames, cell phones, cell headsets & speaker phones, DJ mixers & consoles, video games, New Releases in Music, health & fitness, cookware, and gift cards. Click here to find your J&R item now!